Well, I made it! Off the BIG Roller Coaster and onto the runway. Lots to see, lots to do... and yes, I know "lots" is not proper grammar! We are in our new home, having traveled 1000 miles round-trip in the last 2 weeks to retrieve our household items from storage and plant them within the walls of our new surroundings. Friday, as I nestled into the familiar soft corner of my old couch in my still barren walled living room... I felt it. I scribbled deep thoughts in my journal from that cozy corner. I opened His Word and searched for His mighty arms. Such a word was never so sweet then at the end of a three year journey of simply yet radically following Christ where he led out of "home", out of familiar, out of comfort to places I could have never imagined... into situations I would have never dreamed. 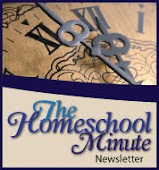 There is a HOME in Faithful HOMEschool. A home that is missing and needing and calling to be shared. There are mamas who, yes, need HIS Word to lift their weary hearts, but there are also Mamas who need to know this crazy journey of life, mothering, teaching and LIVING has, beyond its nucleus of our Lord, ties they sometimes get lost in trying to connect. Being Faithful in the kitchen, in the laundry room, in the school room, in marriage, parenting, friendships.... in every detail and every aspect. Devotions each day are just the beginning. Tie-ing God's Word into the inner workings of life... that is when we begin to LIVE. I will be starting a new series next week. Chronicling and sharing my journal pages beginning a year ago this month as we traversed this great nation west to southeast to southwest and finally north again. I will share the trials and tribulations of living as a mom/wife/woman/homeschooler on mission. A continuation of sorts of the Traveling series I was working on during the summer... but with a twist! 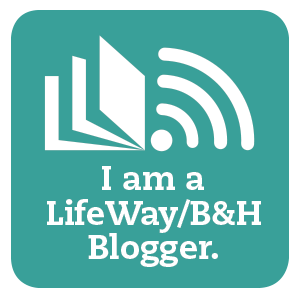 I will also be sharing more deliberately on hospitality notes, scheduling experiences (and experiments), wifely thoughts, parenting, and teaching moments. And, of course, I will still share a devotion each week. It will take time and adjusting as we learn our new schedule and routine on this end... but I am excited to see where God takes us, takes Faithful, on this new branch in life planted in south-central Montana with a focus completely altered as the result of the past years' journeys and this life's calling to live missionally right where we are. From the house I call home, I pray you have/know/find home... even if it isn't a place but a state of being where focus must stay on things eternal and that Mansion with many rooms. *As we get settled we still don't have proper internet so I can't upload pictures of our actual home... the picture above is from a cute house I found not far from where we use to live!